Last Monday’s County Board meeting raised concerns about supporters who wish to buy ‘Win a house in Dublin’ draw tickets but do not wish to do so online. The delegates requested that the Club Rossie Team make hard copy tickets available for these supporters. 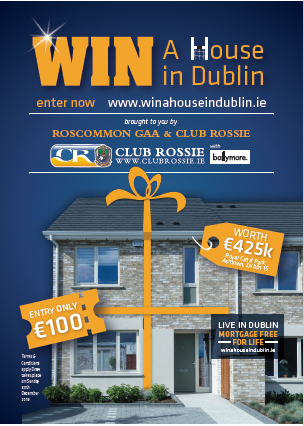 The Club Rossie Team is only too happy to facilitate this request and has decided to make tickets available at locations around the county so that everyone will have the opportunity to be in the draw.